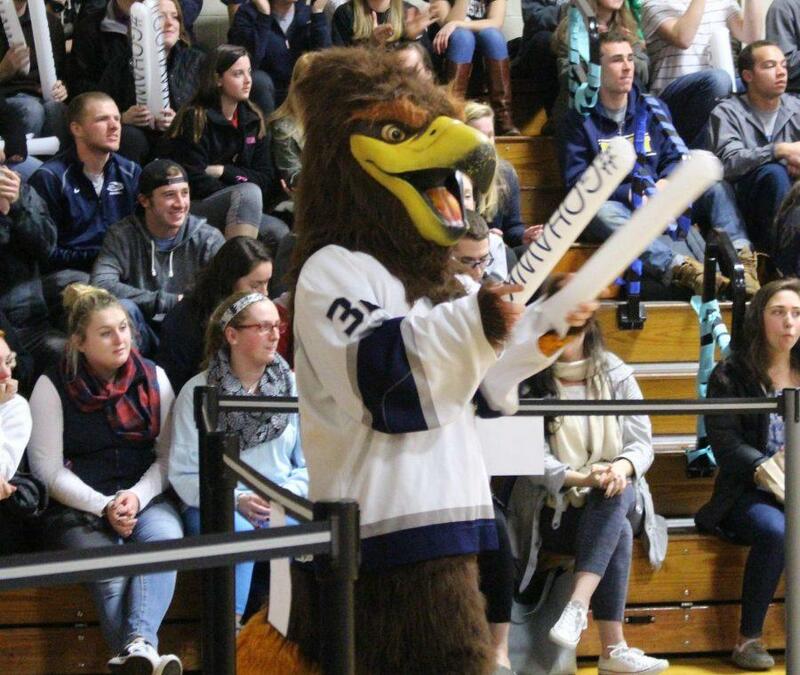 The Saint Anselm Hawk mascot pictured at a pep rally in Stoutenburgh Gym last year. 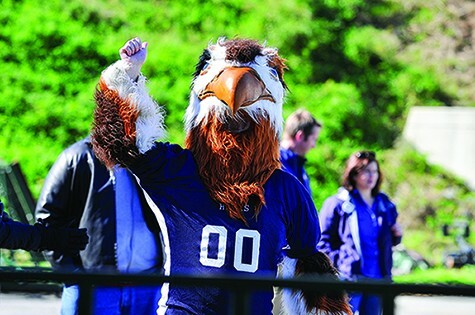 New developments, including the return of athletic scholarships, have emerged in regard to Saint Anselm College Athletics, along with continuing discussion about the future of the Hawks’ NCAA divisional status. 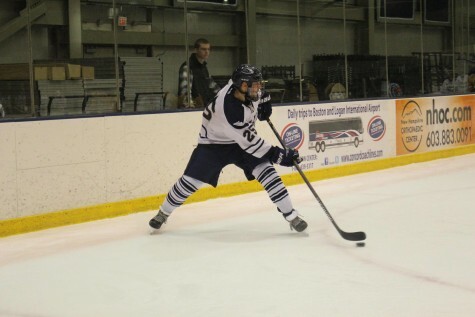 Daron Montgomery, Director of Athletics, announced in a letter to St. A’s alumni on Wednesday, May 25, that the college would begin offering athletic scholarships again. 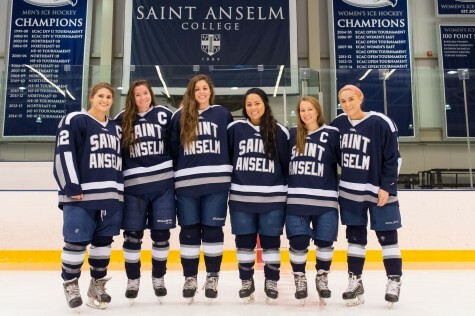 The college had initially put a freeze on athletic scholarships for new recruits after Dr. Steven DiSalvo, President of Saint Anselm College, first announced that St. A’s had entered an exploratory phase of membership in Division III in August of 2015. 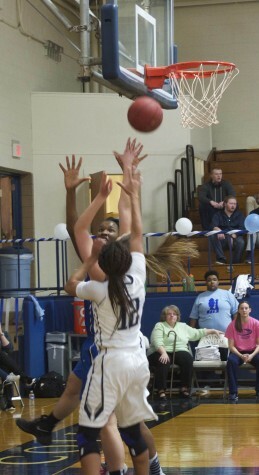 This decision was made in accordance to Division III recruiting guidelines. 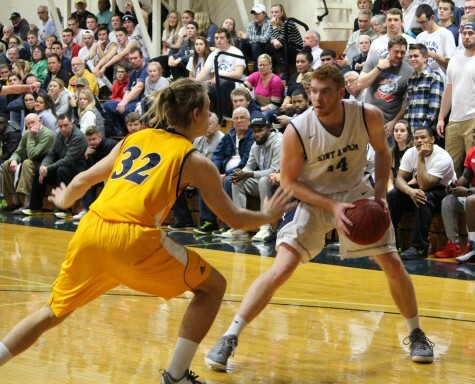 St. A’s had submitted an application to become a member of the New England Women’s and Men’s Athletic Conference (NEWMAC) earlier this year, however this past April it was announced that Saint Anselm’s application, along with all other new applicants to the conference, was denied. “One of our initial objectives will be to listen and better understand our stakeholders and their perspectives. 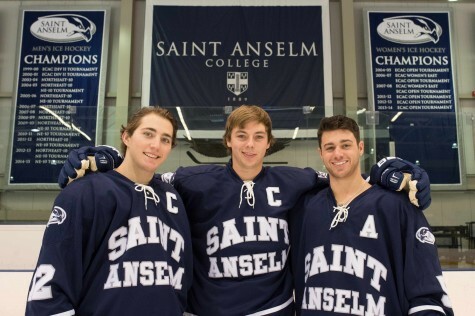 These key constituents will provide confidential input about the future of Saint Anselm College Athletics. This group and I will report back to Dr. DiSalvo as President, and we will also share any recommendations with the Board of Trustees,” Montgomery continued. 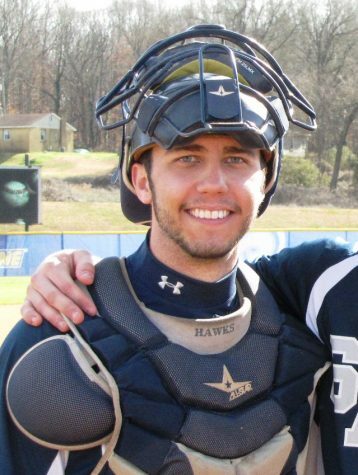 “In the coming years, we must work collectively and tirelessly to help the Hawks soar higher. 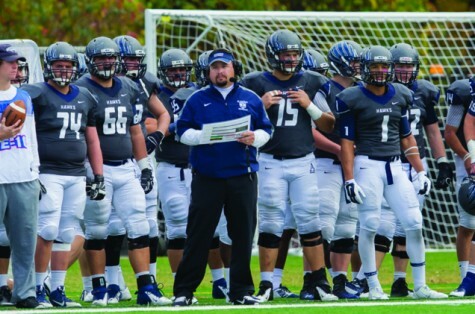 An athletic program that consistently wins can be a rallying flag for all Anselmians. 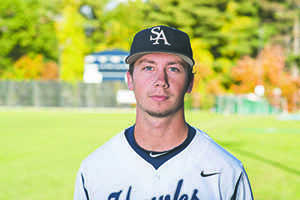 This will undoubtedly increase our visibility and profile—locally, regionally and nationally,” Montgomery concluded. So you hire a new athletic director to bring the program to D3 which is absolutely the right decision for the institution and then stay in d2? Baffling to say the least!